Even though names like Mumford & Sons, Gotye, and Fun. were the high-profile winneras at the 55th annual Grammy Awards on Sunday evening in Los Angeles, it was another big night for dance music too. In 2012, Skrillex won Grammys in each of the same three categories. The awards were presented in a pre-telecast event held at the Nokia Theater prior to the primetime broadcast at Staples Center. 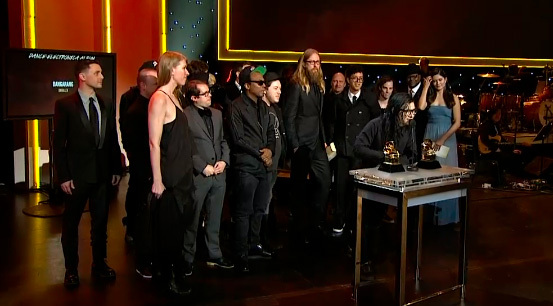 Skrillex invited many of his fellow OWSLA label artists on stage for the acceptance of his final award of the night, calling them his “family.” Included in the on-stage crowd was 12th Planet, Kill the Noise and Alvin Risk. 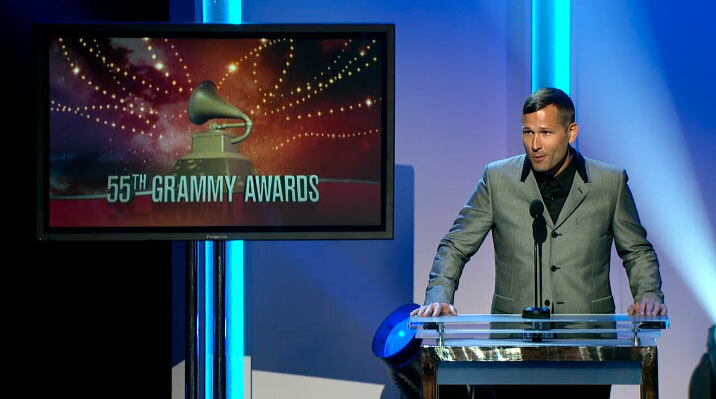 Kaskade, who also received his first Grammy nomination this year in the Best Dance/Electronica Album category, didn’t go home a winner but was a presenter at the pre-telecast award show. Kaskade, who’s also a member of the Recording Academy, also spent time telling reporters backstage that EDM shouldn’t be kept as only part of the pre-telecast portion of the award show. Next story Giveaway: Tickets to Porter Robinson in Pharr, Tex. Previous story Photo Gallery: Showtek – Houston, Tex.